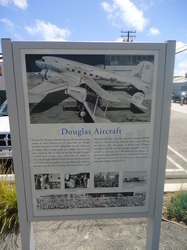 I stumbled across the Santa Monica airport while driving back to Redondo Beach one beautiful afternoon and although it appeared that my visit would be a bust, good luck was on my side. 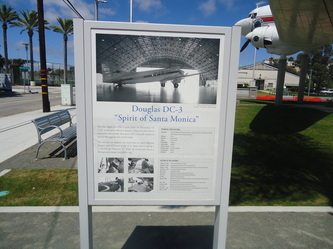 The musuem that had once existed there, was in the process of being replaced, so no aircraft were on display except a DC-3 mounted atop a pedestal where the new museum was being erected. I wandered onto the construction sight and by chance crossed paths with the museum director, Daniel Ryan. 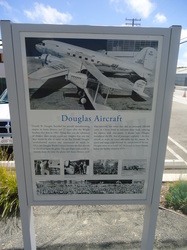 He probably sensed my disappointment and kindly offered to take me on a short personal tour of some of the collection in storage (despite the fact that he was about to host a fundraiser at the construction site), including one of two existing Boeing World Cruisers which originally flew from this field tucked away in a nearby hangar (unfortunately, I could not take a picture of it since it is currently under wraps for restoration and the loaning museum would not look kindly on this). Inside the hangar was a very nice replica Wright Flyer which was used in the Night at the Museum movie. 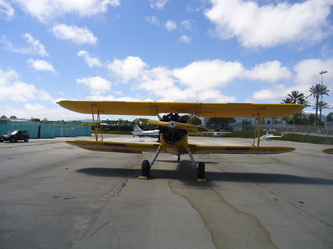 Harrison Ford also keeps his five airplanes at the airport, one of which was parked outside. 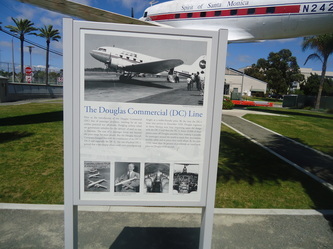 Santa Monica's claim to fame of course, is that it is the home airport of the ubiquitous DC-2 and DC-3, two plane designs which singlehandedly launched the modern age of commercial airtravel- were it not for this tiny airport, I probably wouldn't have travelled by Airbus to California! 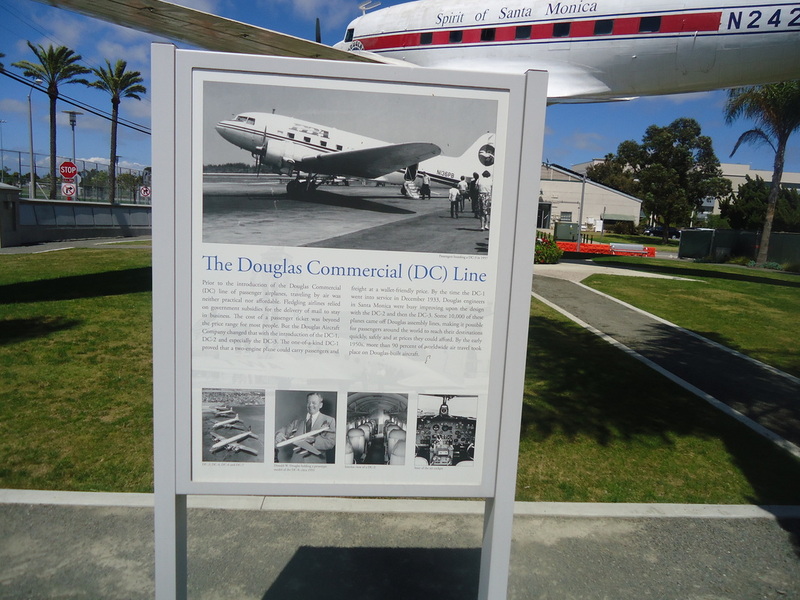 More than 10,000 DC-3s were built here. 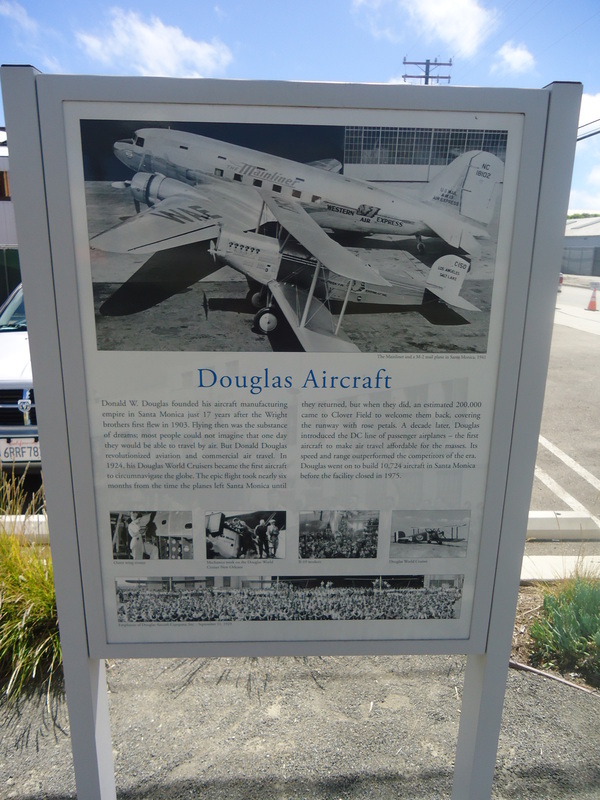 There's not much left of the Douglas presence at this historic airport except for this iconic DC-3 and some plaques attesting to it's remarkable history at this site. 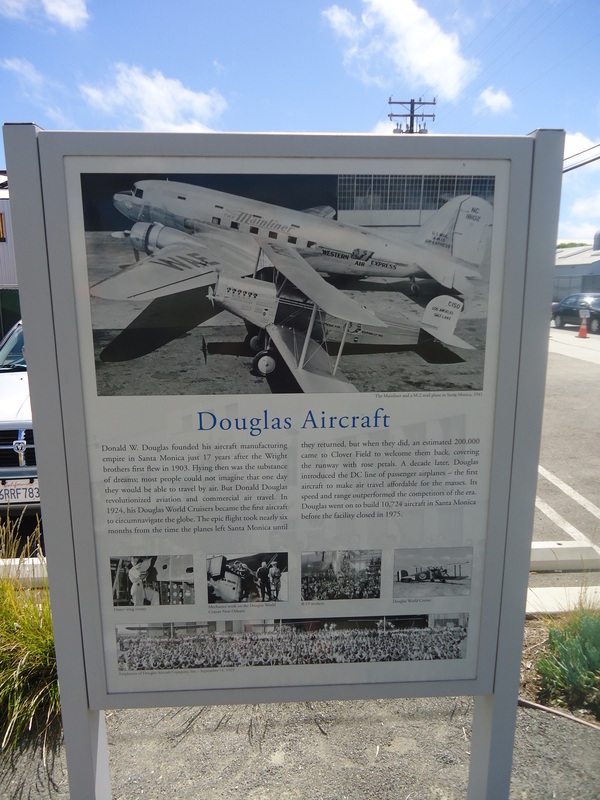 Sadly, the airport is under increasing pressure from developers who don't see the value in small airports and would prefer to turn them into pricey condo developments. 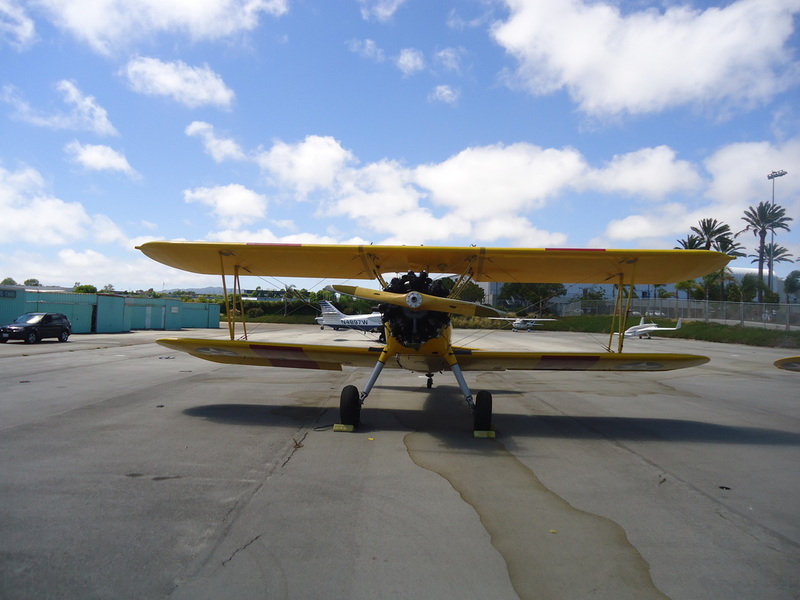 One of five of Harrison Ford's airplanes. A very rare bird. This photo was taken a few years before he crashed it on a nearby golf course. 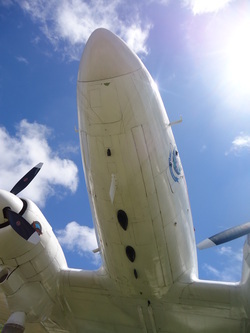 His favourite plane I understand is a DeHavilland Beaver but I didn't see it here. 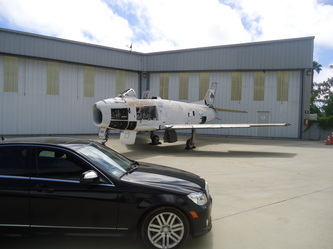 This A-4 was done up in the colours of the Blue Angels for the museum and was front and centre for a fund-raising event for the new museum when I stopped by just hours before the event. 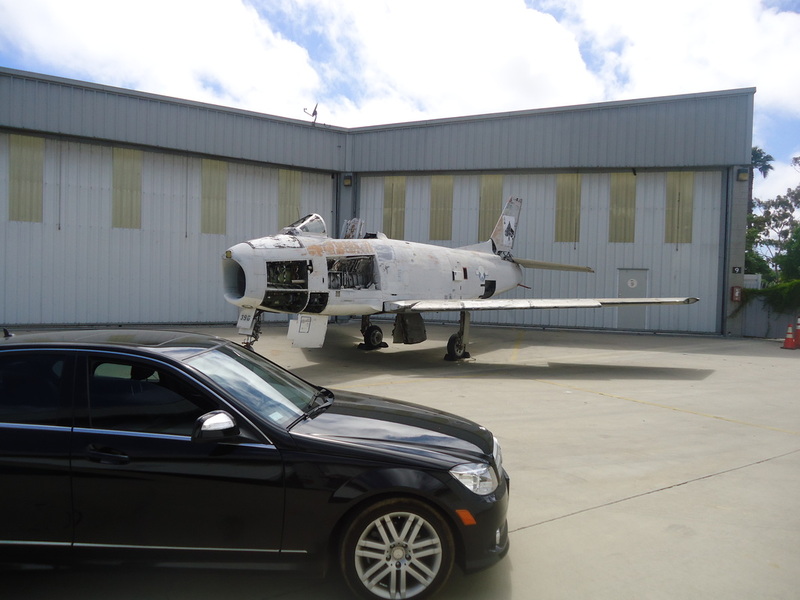 Dan introduced me to the owner of this pristine example of an SNJ trainer, the American naval version of the Harvard.